When it calved from the Ross Ice Shelf in March 2000, the iceberg known as B-15 was the largest iceberg in the world. At more than 4,000 square miles, it was the size of the island nation of Jamaica at its largest. 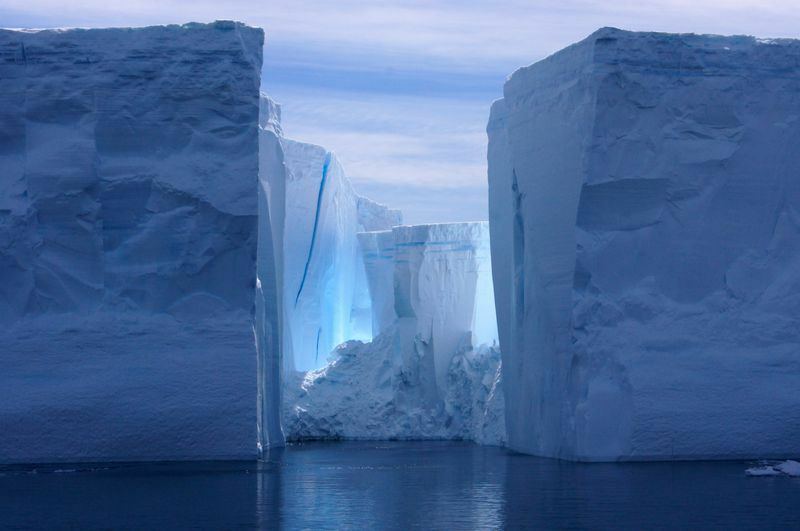 It has been breaking into smaller fragments that float around Antarctica since 2005. Several of them come together in this image by Your Shot photographer Emily Walter, creating a blue valley in the Weddell Sea. 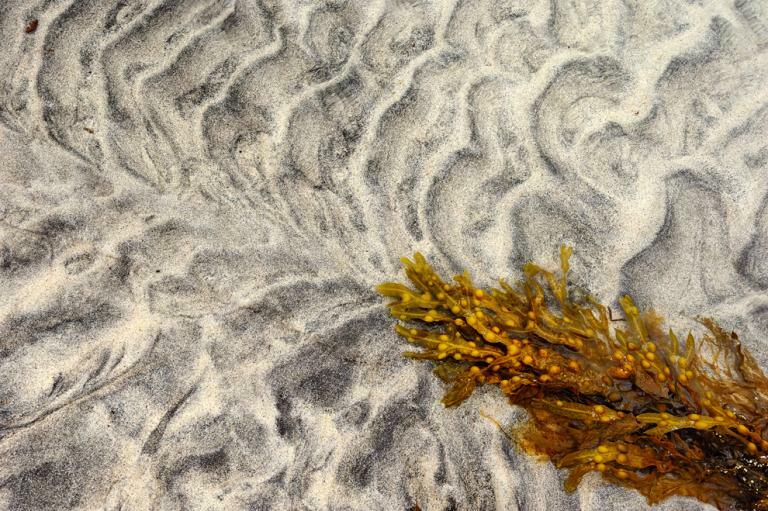 Knotted wrack seaweed adds a touch of gold to a beach on North Uist Island in the Outer Hebrides. Located off Scotland’s northwest coast, the Inner and Outer Hebrides are made up of over 500 islands and islets. 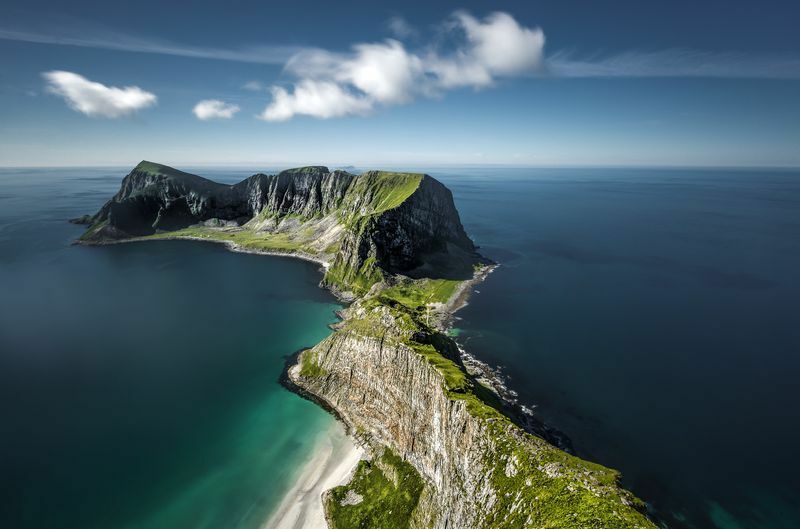 An aerial view of the southern end of Værøy, one of Norway’s Lofoten Islands, reveals a towering ridge running through it like a bony spine. 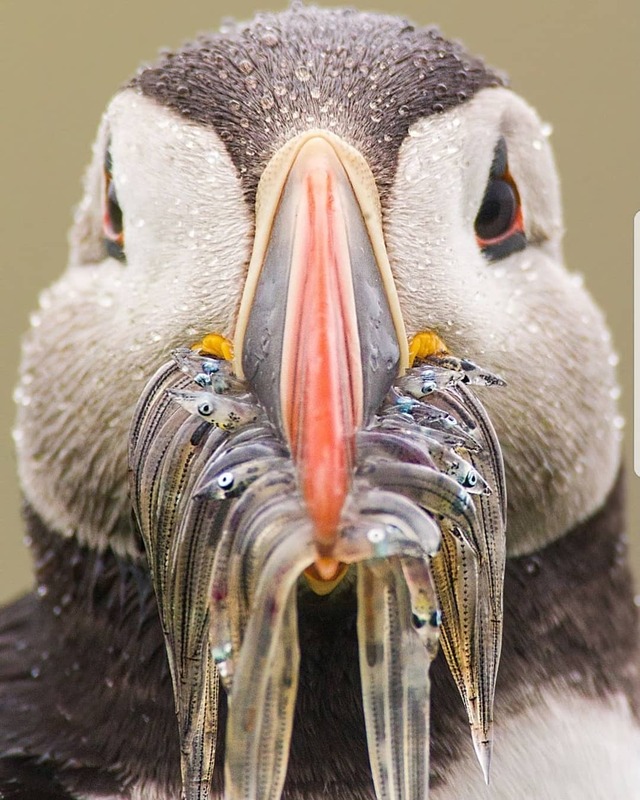 Værøy is home to a population of fewer than 800 people but millions of nesting seabirds, and it frequently hosts bird-watchers who flock to the island by helicopter or ferry. Anguilla, a British territory in the Caribbean, is a nation of tranquility, but Sandy Island takes it to another level. 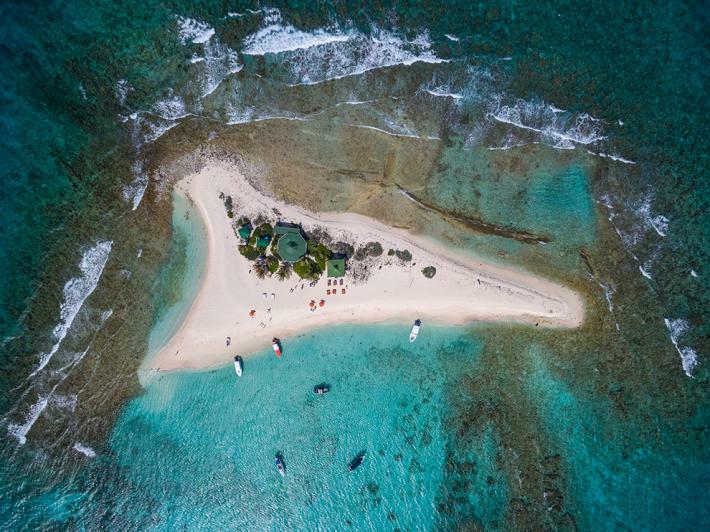 This speck of sand in the bright blue waters is constantly reshaped by the ocean and weather, and visitors to the cay are encouraged to make reservations. Your Shot photographer Matthew Wade captured this shot using a drone. 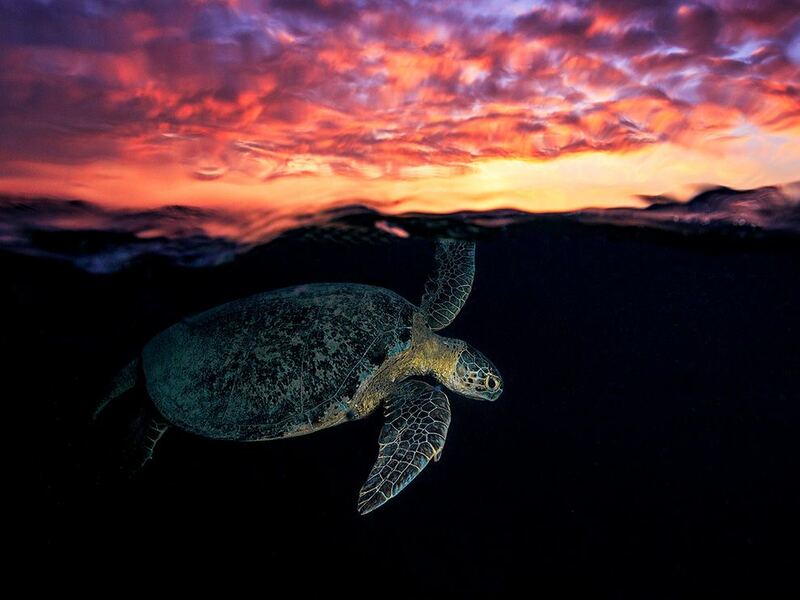 A turtle comes up for air at sunset near the Comoros’s Mayotte Island. 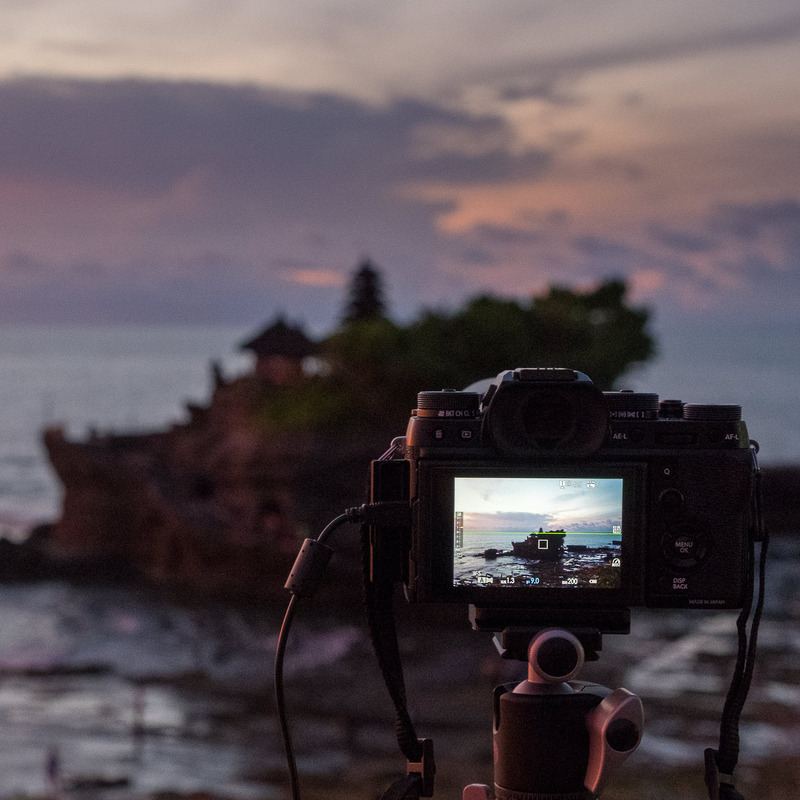 Photographer Gaby Barathieu had been wanting to take this photo for many years and visited the island, known for its turtles, with that in mind. “This picture was taken on the first night,” Barathieu says. 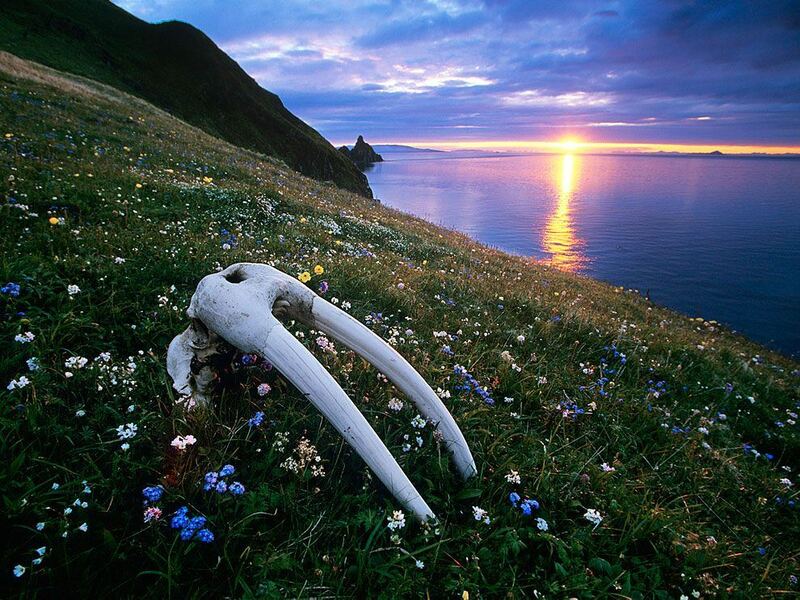 A walrus skull sits alone in a field of wildflowers. Each spring thousands of walruses return to the Walrus Islands in northern Bristol Bay to feed, rest, and sometimes die.